Brian David Sowerby was born in Broken Hill, NSW in June 1943. His father was a police officer who rose to the rank of Superintendent. Broken Hill was his first appointment. Brian Sowerby’s primary education was at South Wagga Public School (1947-52), Peakhurst Public School (1952-54) and South Goulburn Public School (1954). His secondary education was at Goulburn High School (1955-59), passing the Leaving Certificate with one first class honours, one second class honours and four As. He obtained a Bachelor of Science (Honours Class 1) in physics from the University of New South Wales in 1963 and a PhD in nuclear physics from the Australian National University (ANU) in 1967. His PhD thesis was titled â€œNuclear Reaction Studies Involving Neutrons and Gamma Raysâ€ and his supervisors were DE Groce, GJ McCallum and EW Titterton. Brian Sowerby then spent two years (1967-69) as a postdoctoral Fellow at the Nuclear Research Center at the University of Alberta in Canada conducting nuclear structure research using particle accelerators. In 1969 Brian decided to change from pure research into applied R&D and obtained a Research Scientist position in the Radioisotope Applications Research Section of the Isotope Division at the Australian Atomic Energy Commission. He conducted research and development on the application of nuclear techniques to on-line and bulk analysis in the mineral and energy industries. He was Leader of the Nuclear Techniques of Analysis Group, AAEC from 1978 to 1982. He transferred to CSIRO in 1982 and continued and expanded this research. He served as Officer-in-Charge, Lucas Heights, CSIRO Division of Mineral Engineering from 1985 to 1988; was Research Manager, Instrumentation and Control, CSIRO Division of Mineral and Process Engineering from1989 to 1994; Business Opportunity Manager, Process Instrumentation, CSIRO Minerals from 1995 to 1996; Program Manager, On-Line Analysis and Control, CSIRO Minerals from 1997 to 2001; and Senior Manager, Lucas Heights, CSIRO Minerals from 1995 to 2001. Brian Sowerby retired from full-time work in 2007 and worked as a consultant with CSIRO Minerals at Lucas Heights (2007-2009). Since 2009 he has worked as a consultant for International Atomic Energy Agency and as an expert witness and consultant for Scantech. He now runs courses on ‘Sustainable Energy ‘ An Unbiased Review of Options’ for high school science and geography teachers (with Teacher Training Australia). The benefits of improved process control in the mineral and energy industries include greater energy efficiency, improved utilisation of ore deposits, improved utilisation of existing plant and improved product quality. Process control relies heavily on the availability of suitable on-line process instrumentation to provide the data and feedback necessary for its implementation. There is a lot of truth in the saying â€œif you can’t measure it you can’t control itâ€. As summarized below the work of Brian Sowerby and his colleagues has led to the establishment of several Australian based companies that successfully manufacture and market on-line analysis systems worldwide. Resonance scattering bulk analyser: In the 1970s Brian Sowerby developed a technique called gamma-ray resonance scattering for the bulk analysis of copper and nickel ores which relied on the fact that nickel and copper selectively back gamma rays “tuned” to their natural nuclear frequency. The technique was field tested at Mt Isa and licensed to AMDEL, which installed commercial gauges in several Queensland mines in the late 1970s. The Resonance Scattering Bulk Analyser was used for drill core analysis at Mt Isa Mines for over 15 years. Gamma-ray resonance scattering is now acknowledged as the best available technique for the bulk analysis of copper and nickel. Coalscan: In 1977 he turned his attention to the coal industry, which required an instrument that could rapidly and accurately measure the ash content of coal on conveyor belts, etc. He conceived and patented a technique called pair production, which depends on measuring the number of anti-matter particles called positrons produced when coal is irradiated with gamma rays. The pair-production gauge was more accurate than alternative techniques, being less sensitive to changes in the relative levels of different minerals in coal ash. The commercial COALSCAN pair-production gauge was marketed by MCI Ltd (now Scantech). Coke Moisture: Brian Sowerby then developed the world’s first accurate on-conveyor belt instrument for monitoring and controlling the moisture content of coke entering a blast furnace. The coke moisture analyser measures the transmission of fast neutrons and gamma rays through the coke on the belt and determines the moisture content and belt loading independently of variations in thickness, particle size and density. The analyser was tested on blast furnace feed at BHP in Newcastle and licensed to MCI Ltd (Scantech) in 1989. Particle Size and Mass Flow: In the 1990s Brian Sowerby carried out R&D into ultrasonic techniques for the on-line measurement of mass flow rate of pulverised coal in coal-fired power stations (UltraPF) and for in-stream measurement of particle size in mineral slurries (UltraPS). UltraPS analysers are suitable for a wide range of industrial applications and several CSIRO commercial prototypes are now operating in Australia and South Africa. CSIRO recently (2011) reached agreement on the commercialisation of the UltraPS particle size measurement technology with Thermo Fisher. Air Cargo Scanner: Security and border protection are key priorities for many countries around the world. There is a growing need for improved screening of air cargo to detect contraband such as explosive devices and materials, weapons, illicit drugs and nuclear materials. Brian Sowerby is co-inventor (with James Tickner) of a world-first imaging technique that combines neutrons and x-rays to detect and predict the composition as well as the shape and density of an object. Combining x-ray and neutron beams generates a composite image of material inside the cargo container, which helps operators more readily identify suspicious materials, such as explosives, drugs and other contraband. CSIRO’s air cargo scanning technology was trialled successfully by Australian Customs at Brisbane International Airport and is now being commercialised in conjunction with Chinese security inspection specialist Nuctech Company Limited, the world’s biggest manufacturer of large-scale X-ray freight scanning systems. Nuctech and CSIRO have recently developed new versions of the scanner suitable for commercial deployment that combines a 14 MeV fast neutron radiography system with dual-energy binocular X-ray radiography. The first two commercial scanners are in use at Abu Dhabi Airport in the United Arab Emirates and at Nikola Tesla Airport in Serbia. 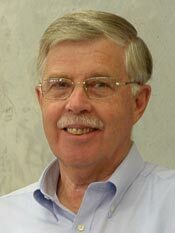 Brian Sowerby is the author of 122 refereed papers in journals and conference proceedings, 15 patents and 107 reports. He was an Editor of the prestigious Journal of Applied Radiation and Isotopes from 1996 to 2007. Sowerby BD, 2009, 2014, Personal communication.